Huge win for Douglas "Badwis" Weider! Ships the PokerStars NJ Sunday Special for $10,225! What a day for "MJD0811"! Ships the WSOP NJ/888poker NJ $50,000 Ultimate Warrior for $13,500! Four final tables for Jeremy Danger, including a win in the $10,000 Fierce Warrior for $4,153! New Jersey's "Utleyfan8" wins the partypoker NJ/BorgataPoker.com Sunday $40k Championship Bonus. New Jersey's "MJD0811" was the biggest tournament winner on Sunday at regulated online poker rooms in the Garden State after shipping the 888poker NJ/WSOP NJ $50,000 Ultimate Warrior on WSOP.com for $13,500. AJ "TheRounder89" Ten Hoeve just missed out on his biggest online tournament cash taking second place for $7,875. Douglas "Badwis" Weider notched his first five-digit online poker tournament cash by taking down the PokerStars NJ Sunday Special for $10,225. His previous biggest tournament haul came in February 2016 when he won the second place prize of $7,560 in the partypoker NJ/BorgataPoker.com Sunday $50K. Jeremy "FunkyJesus" Danger who finished in ninth place in this tournament for $950 had three other final tables in tournaments with at least a $10,000 prize pool under the screen name "Jermz", including a win in the WSOP NJ/888poker NJ $10,000 Fierce Warrior for $4,153, a fourth place finish in the PokerStars NJ Nightly Stars for $1,016, and an eighth place performance in the partypoker NJ/BorgataPoker.com Daily $10K for $415. Elsewhere, "Utleyfan8" won $8,080 with a victory in the partypoker NJ/BorgataPoker.com Sunday $40k Championship Bonus. Michael "JohnnyDrama" Haberman Jr, who recently shared his thoughts on the upcoming Borgata Poker Open and the first-ever PokerNews Cup in the United States, banked the runner-up prize of $5,494 in this tournament. If you play regulated online poker tournaments in New Jersey and would like your real name appearing in future articles, please contact this editor at jason.glatzer@pokernews.com or on Twitter under @JaxonPoker. *Special thanks to PocketFives.com for some of the data in this article. 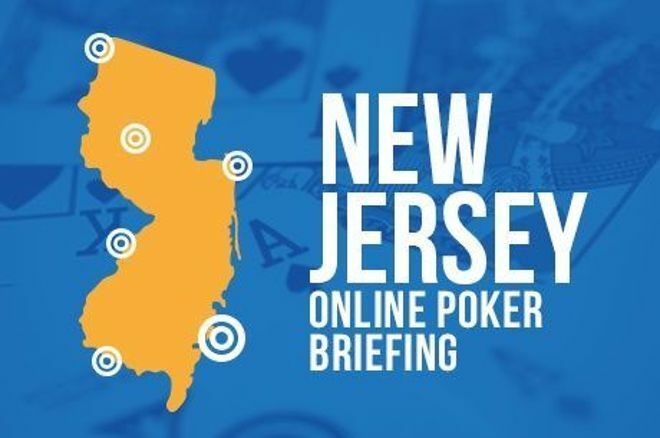 New Jersey Online Poker Briefing: Kevin "SofcknsicKKK" Campbell Wins $13,500!